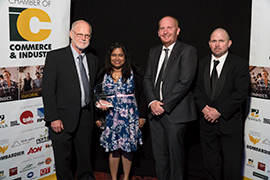 Aquatec Maxcon Group is proud to announce our Maxcon Industries employee, Bruce O’Grady, won the “Injured worker achievement award” at the Queensland Safe Work and Return to Work Awards 2017. Bruce was also a finalist in the “Best demonstrated leadership in return to work” award. 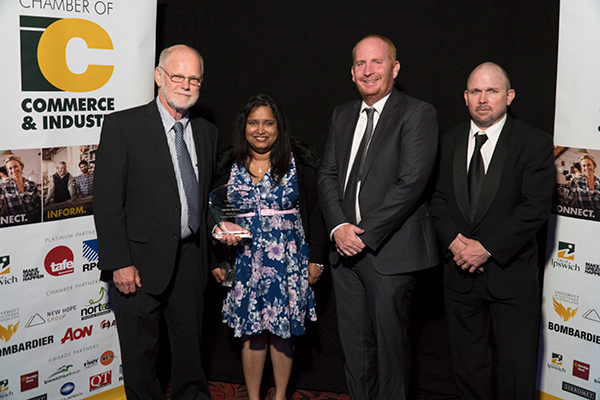 This year, 167 organisations and individuals entered the Awards, with everyone involved having demonstrated their commitment to keeping Queensland workers healthy and safe, or getting those that are injured, back to meaningful work. Bruce was crushed in a forklift incident and suffered four fractured vertebrae, collapsed lungs, a broken pelvis, fractured ribs, damaged spleen and liver, crushed nerves from the waist down and partial bowel removal, as well as ongoing complications. 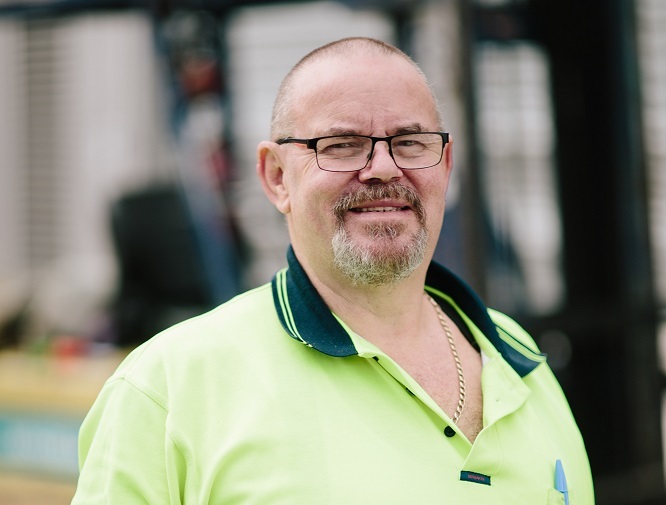 With the support of company management and a positive attitude about his rehabilitation, Bruce has made a remarkable recovery, pushing himself to ensure his rehabilitation goals were met. Bruce has now returned to work full time. Aquatec Maxcon Group would like to congratulate Bruce on both his significant recovery and winning this award. We welcome him back to work and highly value his contribution and demonstrated safety leadership. 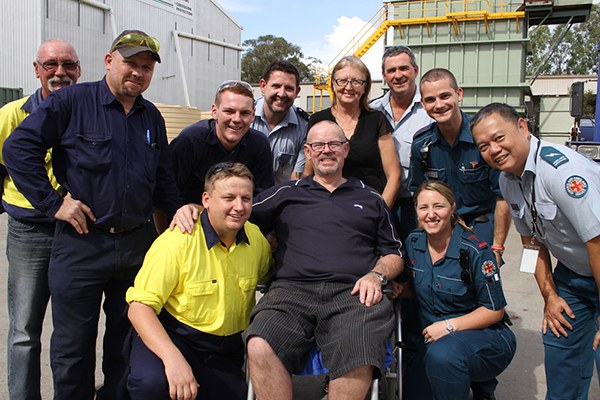 Bruce O’Grady with his wife Kerry (Center), with the first responders to his injuries; members of the Queensland Ambulance Service (QAS) and Maxcon Industries colleagues. Receiving QAS certificates of appreciation for their first responder work in attending Bruce O’Grady’s injuries. 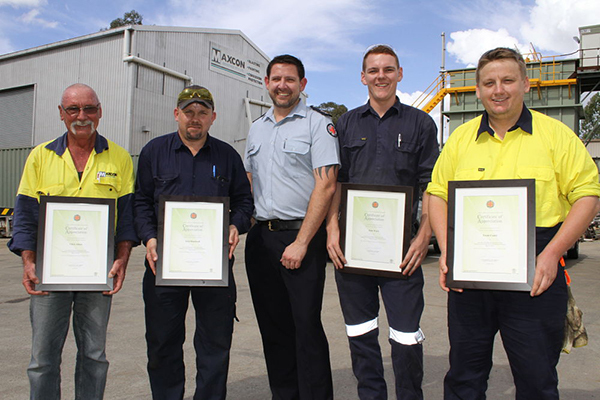 Maxcon Industries employees L to R: Chris Aitken, Scott Blackwell, Drew Hebbron (QAS), Dale Ward and and Trent Court. Photographs courtesy of Work Safe Queensland and Queensland Ambulance Service. 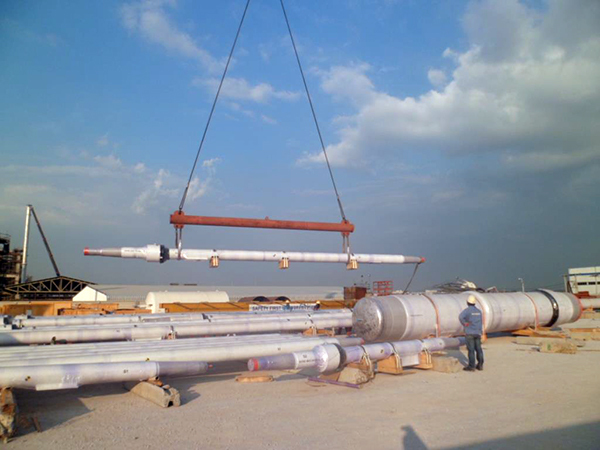 Our Thai facility recently completed the Freeport LNG Liquefaction Project for Quintana Texas, USA. 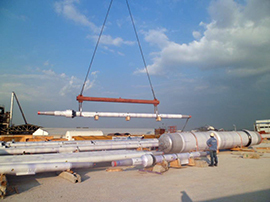 Trains 1 & 2 of Vacuum Insulated Pipe (VIP) consisted of a total length of 5,582m and 252 spools for CZ JV, a joint venture consisting of CB&I Inc. and Zachry Industrial, Inc. Train 3 consisted of a total length of 478m and 22 spools, comissioned for CCZ JV, a joint venture consisting of CB&I Inc., Chiyoda International Corporation and Zachry Industrial, Inc. The final spools were shipped on the 10th June 2017. Earlier this year, our Thailand facility completed the Cameron LNG Liquefaction Project for Hackberry Lousiana, USA. CC JV, a joint venture consisting of CB&I Inc.and Chiyoda International Corporation commissioned 71 spools with a total length of 1017m. The final spools were shipped on the 20th February 2017.